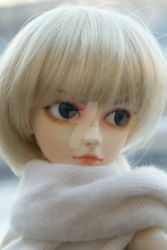 This group has been created out of love for the BJD company B&G (Boy & Girl) and their dolls. if you own a doll that is fully B&G or partly B&G and want to express and share the love then join and submit away! I made this group mainly because i couldn't find one made, so any help running this would be great <3 any people from any country are welcome! Our favourite shots get placed in to the featured folder to be shown off here to all! Sorry if you have been waiting a long time to get your images sent through, i have had to go through six pages (not even joking) of submissions for this group that are NOT even B&G dolls! Here is a refresher for you all old and new! If it doesn't say in the Artist Comments it is B&G it will be left pending until changed and we are notified. You will be banned for repeat submissions of non B&G dolls in to the gallery. Angels Unlimited (AU): EU/UK Doll Community forum with great trade/ market place and friendly members! Also have their own DA group! Den of Angels (DoA): HUGE International BJD forum community with trades and members from all over the world and lots of fresh news on the dolly world! a great place for advice of first time buys from companies or issues. Angelesque UK Based Dealer of Dolls and fashions, Very reliable service! sadly they don't do B&G but do handle some nice companies. Angels Cave UK Based Dealer Of mainly dollheart fashions at the moment. they do other items and dolls dependant on stock. Friendly service! Think Pink! Netherlands Dealer of many companies including B&G! If you want to be featured here with an icon like above just private message the group! This group was created for Doll owners of B&G and doll enthusiasts, to share their love for the hobby and share pictures of their B&G dolls in one place, as there are plenty of company groups and all over doll groups this one is aimed at just this specific company so please, no submissions of other companies here! Only 3 per gallery folder per day per person as Regular member. This is 10 as a contributor. Images have to include a doll from B&G, and the doll has to be yours, or the person who's it is has to be stated. All images must state in the Artists Comments the sculpt name of the doll so if it is an image of a B&G Sky for example, in your comments it has to state 'B&G Sky' - If it doesn't state a sculpt name it will not be accepted. Sales Gallery is for the sale of your B&G doll - Please compile all images in to one image to show the sale and link to where people can purchase it. There is a 1 image per month limit on this folder for all members. I can't stress this enough! no other doll company submissions please! She comes with full face up (eyelashes included) Full outfit, wig, 4 sets of eyes and cetificate of authecity. I have a big problem right now..
My future doll is going to be a B&G Sky. But I can`t seem to choose between open eyes Sky or sleepy eyes. I have a B&G Loretta, but sadly I have to sell her (money issues) I'm happy I found this place, maybe one of you B&G lovers would want to buy her?